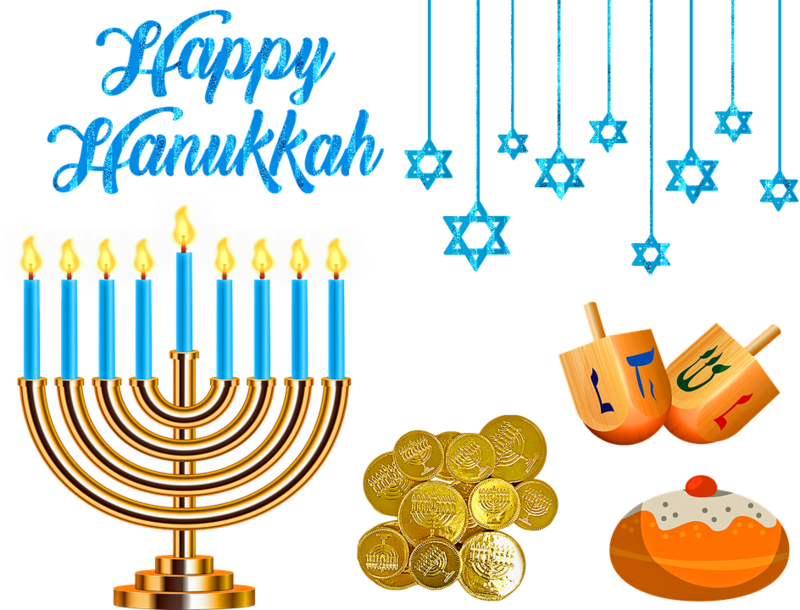 You may have seen “Hanukkah” spelled in a variety of different ways! That’s because the Hebrew characters don’t have an exact English equivalent. 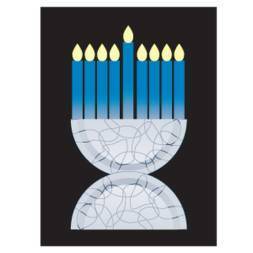 Hanukkah celebrates the Maccabees reclaiming the second temple of Jerusalem from the Greek-Syrians. The Maccabees discovered that they only had enough oil to light the temple for one night. Miraculously, the oil lasted eight nights. This is why Hanukkah lasts eight nights. Many Hanukkah foods, such as latkes and doughnuts, are fried in oil. This is to commemorate the miracle of the oil. 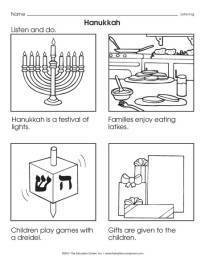 How can you focus on Hanukkah in the classroom? Here is a printable and craft! 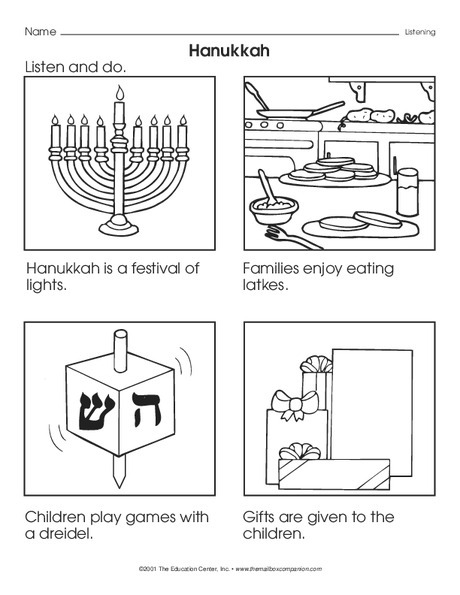 Illuminate Hanukkah traditions with this Listen and Do activity sheet! These sparkling menorah crafts look lovely displayed in the classroom! Thank you for the “Hanukkah” information. We are doing Christmas Celebrations Around the world and have included the country of Israel so this will be very useful.